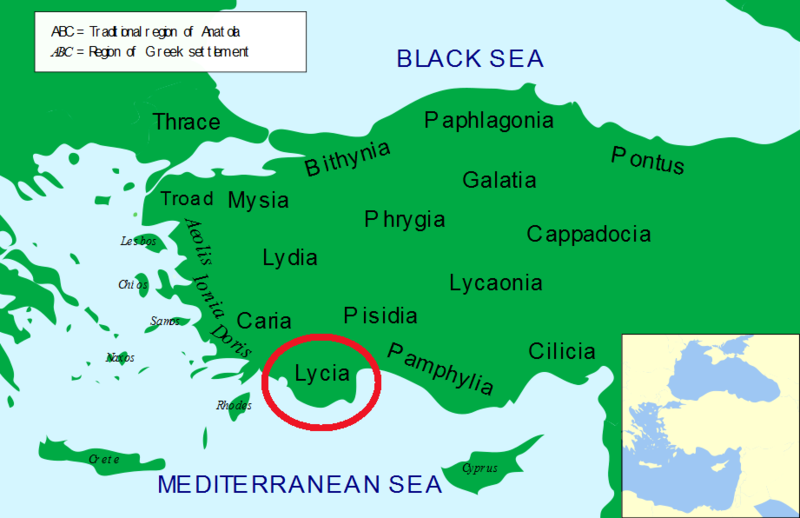 Lycia lies on the southern coast of Anatolia. In 546 B.C. the local population was decimated, and the area received an influx of Persians. Intermittently free after the Greeks defeated the Achaemenid Empire, it briefly joined the Athenian Empire, seceded and became independent, was under the Persians again, revolted again, was conquered by Mausolus of Caria, returned to the Persians, and went under Macedonian hegemony. Lycia was totally Hellenized under the Macedonians. Under the Romans Lycia was allowed home rule under the Lycian League, a federation with republican principles. In AD 43 Claudius dissolved the league and made Lycia a Roman province.